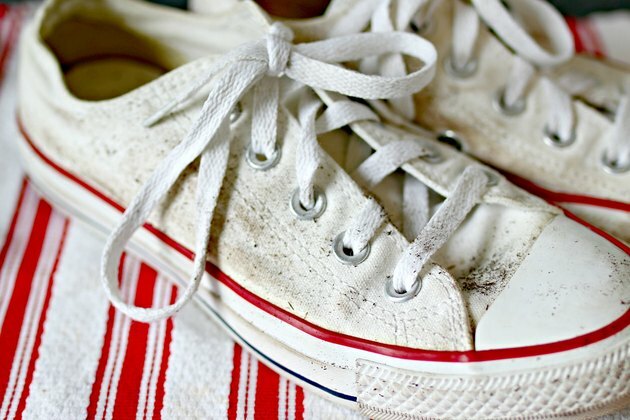 Keeping canvas shoes clean can be a daunting task, but getting stains off of your canvas sneakers is actually much easier than you think! 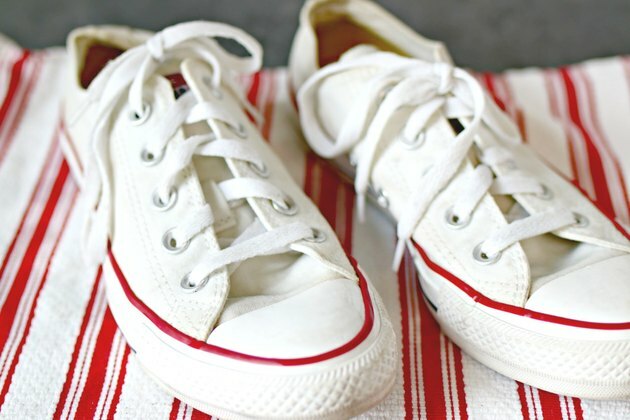 You just need a few items that you probably already have in your pantry to get those shoes looking like new again in minutes. 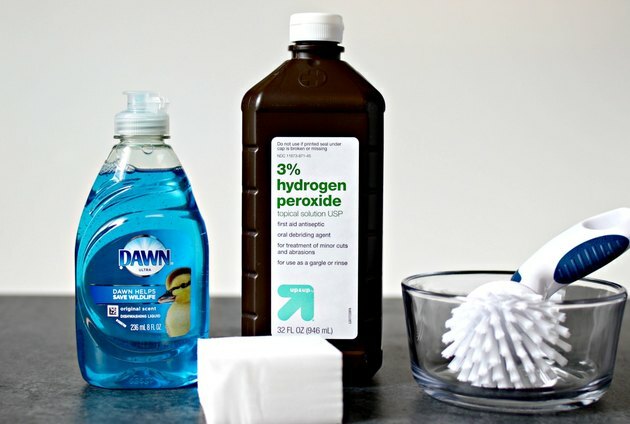 Mix hydrogen peroxide and dish liquid together in a small bowl. 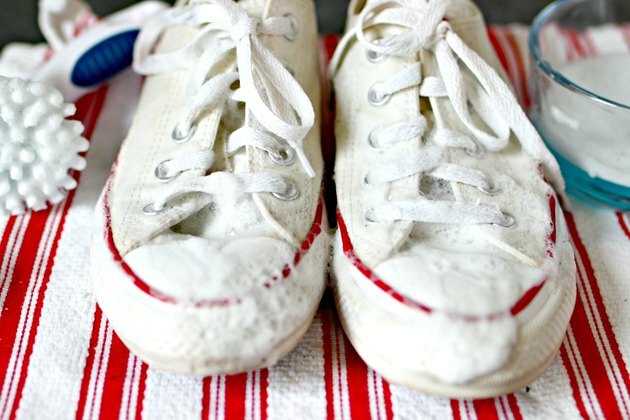 Brush any excess dirt off of the canvas shoes. 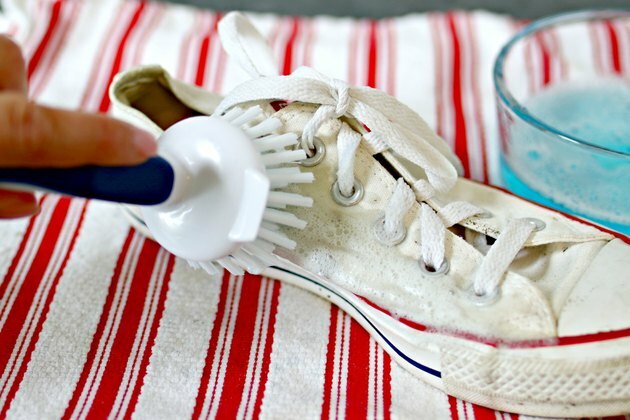 Scrub cleaning solution into the shoes, focusing on any really dirty areas. Let solution sit on shoes for 10 minutes. This will allow the cleaning solution to work on any tough stains and help brighten the canvas fabric. 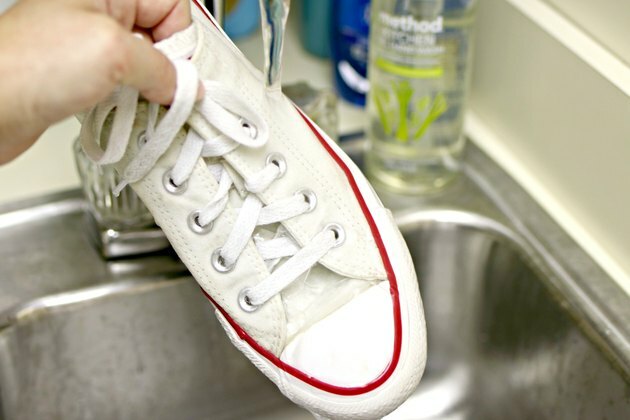 No worries if your shoes aren't white, the hydrogen peroxide should not discolor them. You can test it on a small area before using the solution to be sure. 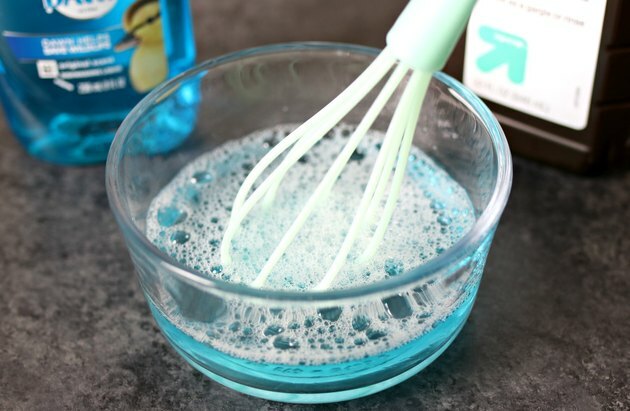 Clean the rubber parts with a Magic Eraser sponge. 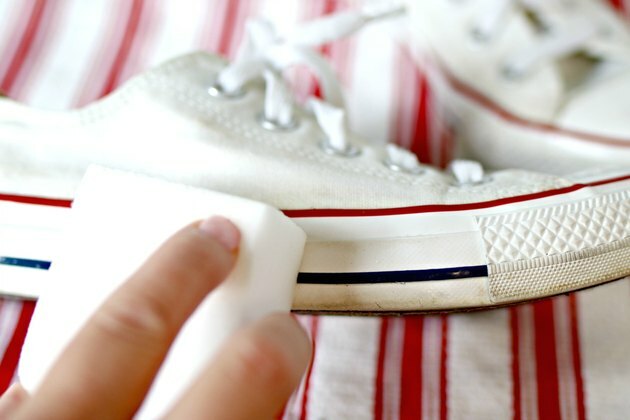 If the rubber areas of the shoes have any marks or stains on them, simply dampen a Magic Eraser sponge and wipe them clean. Air dry the canvas shoes overnight. 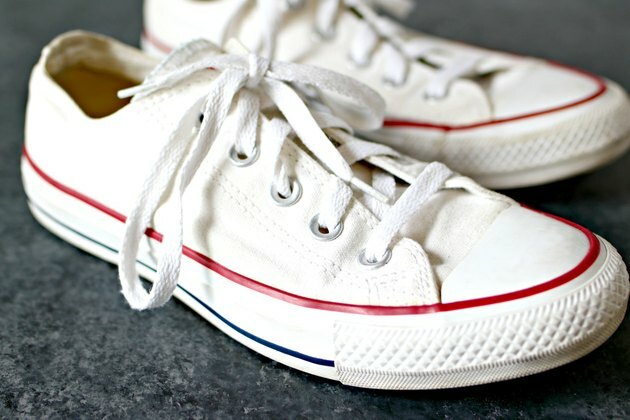 Drying canvas shoes in a dryer can cause the canvas to shrink and can also produce yellowing of the canvas. 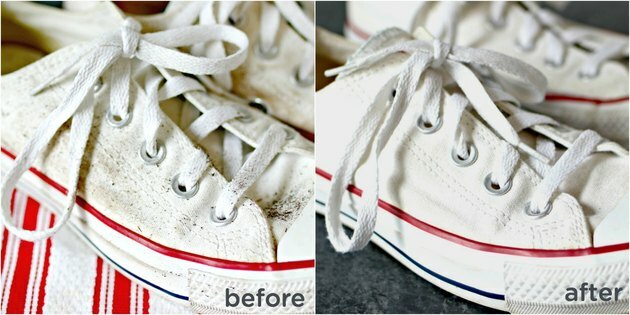 Your shoes should be bright and clean, and looking practically brand new!